The best lilac ever lives on (and blooms)! A tiny, important thing is happening in my yard. The little white lilac is blooming. Here’s the history of my beloved, best ever lilac tree. When I read that old post from 2006, I marvel at how long ago that was in personal years. Since then, I had a daughter, the country house is larger, now almost roomy, thanks to an addition. 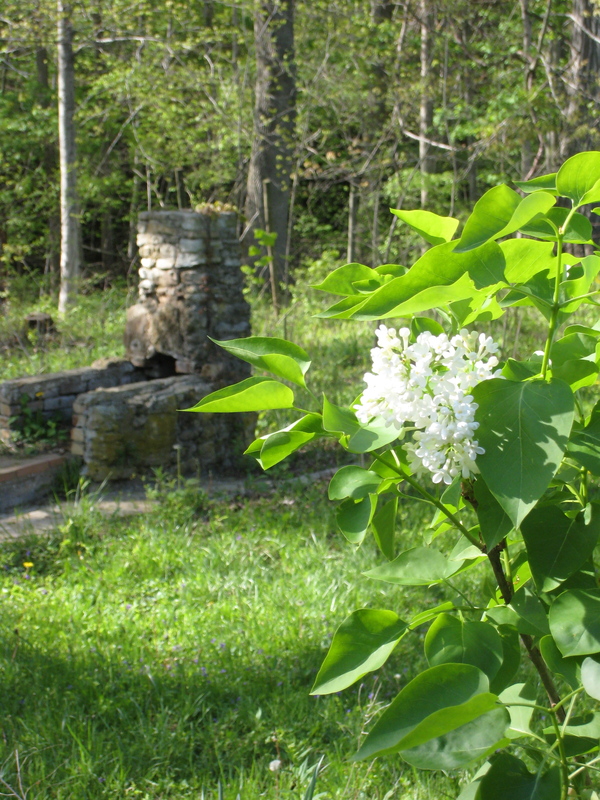 And the white lilac shoot has been moved to its second country house location (to make room for the addition). I savor these blooms. May the years provide many small but important moments to celebrate flexibility, evolution, and the tender cycle of life. This entry was posted in Uncategorized and tagged Interdisciplinary Aesthetics, lilacs, nature. Bookmark the permalink. Love my lilacs, too, and our new home came with three!